The Swiss government says it will not force primary schools to teach French by law as was previously required. Instead cantons will focus on teaching English, which is considered an increasingly important language to communicate with in a global diversified world. Switzerland’s Interior Minister Alain Berset made the announcement in a recent press conference. “We don’t think that revising the law on languages is necessary at the moment,” Berset told reporters. The Swiss government said that this decision was already based on cantonal agreements, which took place several months ago. Having said that the Swiss government will not intervene, in Switzerland each canton takes charge of its educational matters. A few cantons have effectively demonstrated this, for example the canton of Thurgau recently said that it will stop teaching French at primary schools and will teach English instead. The canton of Thurgau is the first of several German-speaking cantons to take this decision on its own. 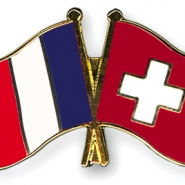 Nevertheless many believe that teaching French is essential for cohesion and solidarity particularly in a multi-lingual country like Switzerland. In July 2016 Interior Minister Alain Berset sent a number of proposals to various cantons addressing the language issue. The Swiss government however preferred that a second language should be taught at primary schools and that there should be consistent harmonization across all cantons. Having said that, there still seems to be differences between German-speaking cantons and French-speaking cantons over language issues. While the French-speaking cantons would like the government to intervene, the German-speaking cantons believe that it is too early for the government to intervene in the first place. The Swiss government said that it has already confirmed its decision through a consultation process with various cantons. “Multilingualism is a typical feature of Switzerland, but it comes with costs. Because several players have a say in language matters, they also share responsibility,” Berset said. The government reiterated its interest in maintaining and building on the harmonization of language teaching across the country. A statement released by the interior ministry said that a cantonal education directors meeting would take place in 2017 to discuss the latest developments. Only then can language issues be discussed further, but for now the Swiss government has already had it’s say.